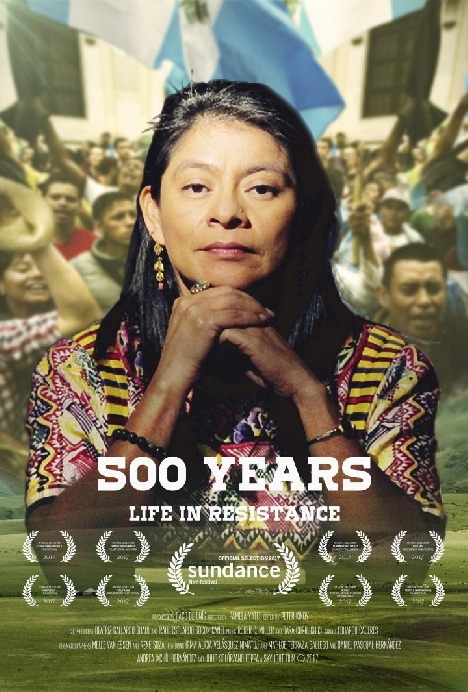 "500 Years" tells the sweeping story of resistance in Guatemala, from the genocide trial of former dictator General Ríos Montt to the popular movement that toppled sitting President Otto Pérez Molina. Focusing on universal themes of justice, racism, power and corruption, 500 Years is told from the perspective of the majority indigenous Mayan population, and explores their struggles in the countrys growing fight against impunity. 105 minutes. Spanish with English subtitles.